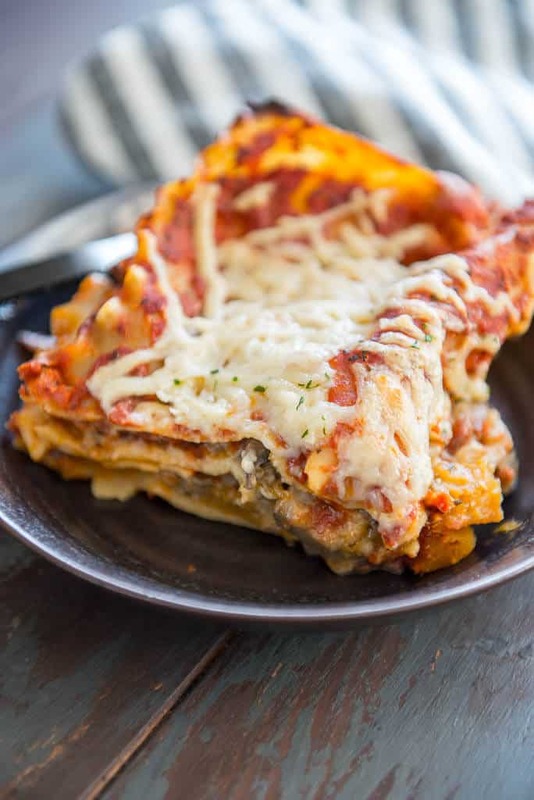 You don’t have to be vegan to enjoy this meatless lasagna! 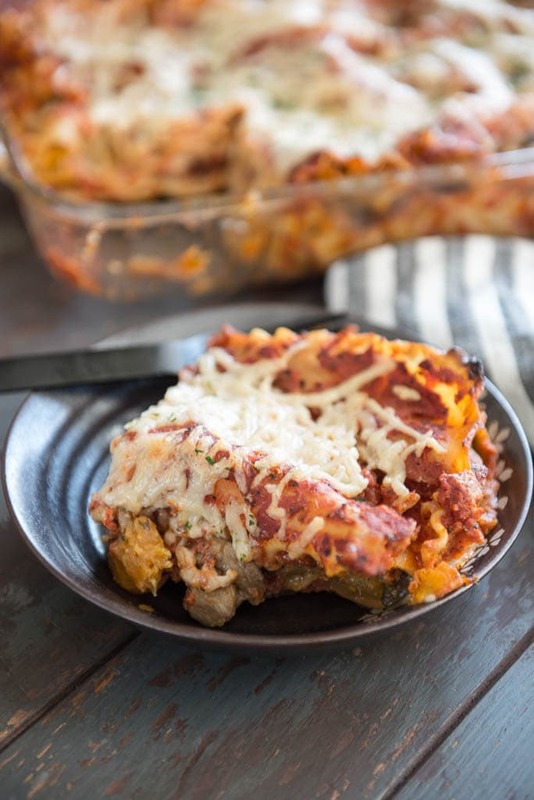 Chock full of savory butternut squash and mushrooms with a creamy indulgent sauce, this is seriously the best vegan lasagna, if not the best ever lasagna you will make! I was skeptical but determined when I set out to make a vegan lasagna that would be packed with nutrition but still taste indulgent and delicious. Thankfully it all worked out and I ended up with the best vegan lasagna that is easy to make and so tasty! 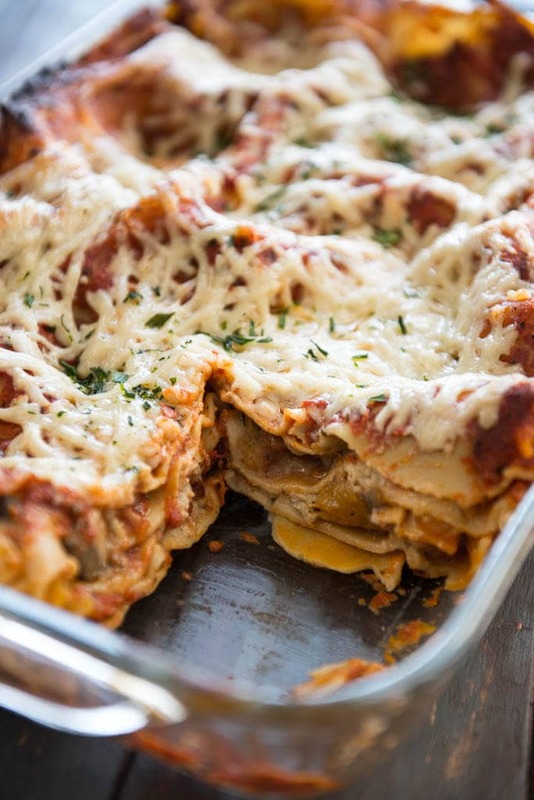 I used to shy away from making lasagna because I thought it was too much work, but it’s really pretty simple and I love that you have so many options to customize it to your own taste. To give it that contrasting tomato sauce and creaminess, I created an easy vegan Alfredo sauce to make up for the lack of ricotta cheese. To be honest, this might be the way I make all of my lasagna from here on out! 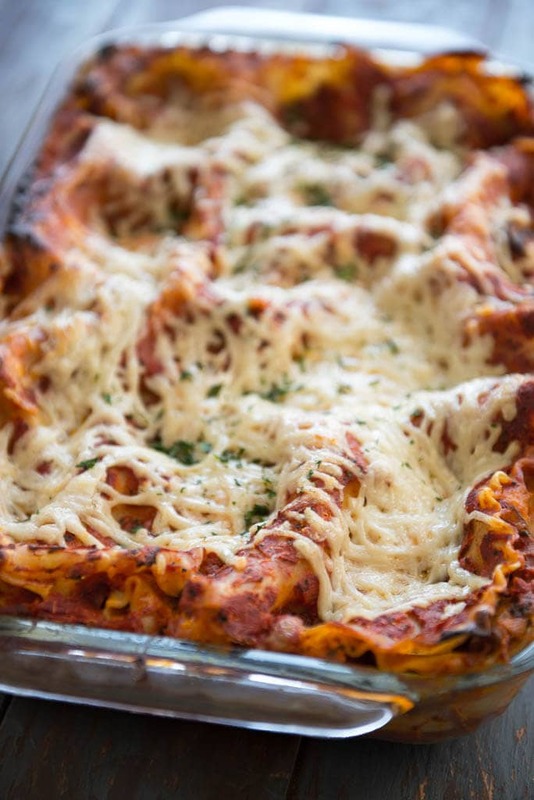 use oven ready lasagna noodles to skip the extra boiling and draining step, who has time for that?! Use a high quality marinara sauce, don’t skimp on this! 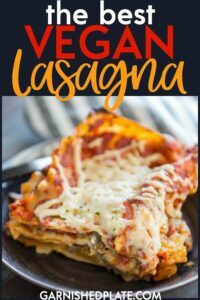 Don’t forget you can always make this vegan lasagna up ahead of time and bake after work OR make a large batch and heat up leftovers throughout the week! Isn’t lasagna awesome? And by packing it full of extra veggies, it just that much better! Serve it up with a tossed salad and some soft bread for a complete meal. Want to add a few more veggies? 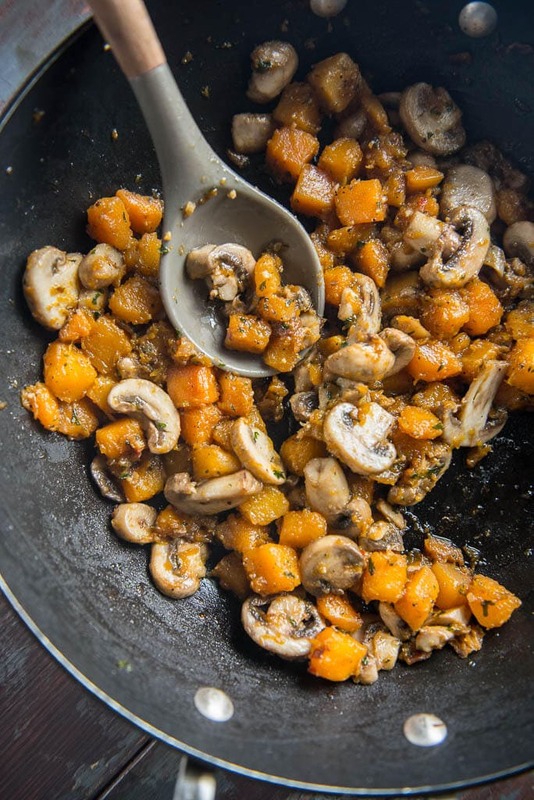 This would be amazing served up with my Chipotle Roasted Brussels sprouts! Want custom vegan meal plans? I’ve got those! Check out my weekly meal plans! Assemble in a 9x13 casserole dish by adding 1 1/2 cups of marinara to bottom of dish. Layer with 4-5 noodles, 1/2 of the Alfredo, 1/2 of the filling, and 1 cup of marinara. Repeat.